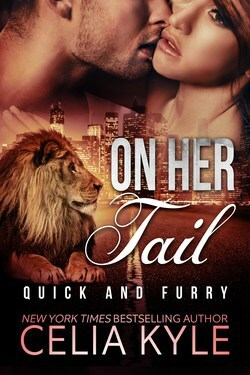 Werelioness Addy Wilson did the unthinkable—she kidnapped an alpha’s cub. Not because she wants to harm the small child but to save him from his father. Unfortunately, as she flees for her life and tries to disappear into the confusion of the city, she runs into her mate. Or rather, he hits her with his car. Zane is gorgeous, delicious, totally lickable and… an Enforcer for the North American pride. In fact, Zane works directly with the pride’s beta. Now she’s torn between running to ensure the child’s safety and staying to make a life with Zane. Addy couldn’t let them catch her. Not now, not ever. That single thought in mind, she clutched the small bundle in her arms tighter and forced herself to run faster. Her inner lioness attempted to help, adding what strength and speed she could, but it wasn’t enough. They were larger, stronger, quicker, and fueled by both rage and fear. She’d managed to avoid them for the last two weeks, but the more time that passed, the closer they came and this was the closest yet. She still wasn’t sure what clued her in to their arrival, but something alerted her lioness danger was near. She’d peeked out the front window of the moldy hotel room, spied the two hulking males, and then escaped out the back with nothing more than the clothes on her back, a diaper bag, and what those two men hunted… the baby. She ducked and weaved through the busy crowd, fighting the natural flow of foot traffic. She took advantage of the fact she was much smaller than the two males. At over six feet tall and two hundred-plus pounds, they had to struggle against the gathered bodies. Growls chased her, their sounds making it seem they were within inches of her, but that couldn’t be. She’d had a decent lead when she fled the hotel, hadn’t she? Now snarls reached her, the men foisting their anger at her actions. The humans’ fear stung her nose as they seemed to finally realize they had furious non-human somethings in their midst. They were livid with her, but they couldn’t have known why she’d run. Then again, maybe they did and didn’t give a damn. They worked for Tony Davis, didn’t they? And Tony wanted his baby back. Not while she had breath in her body.